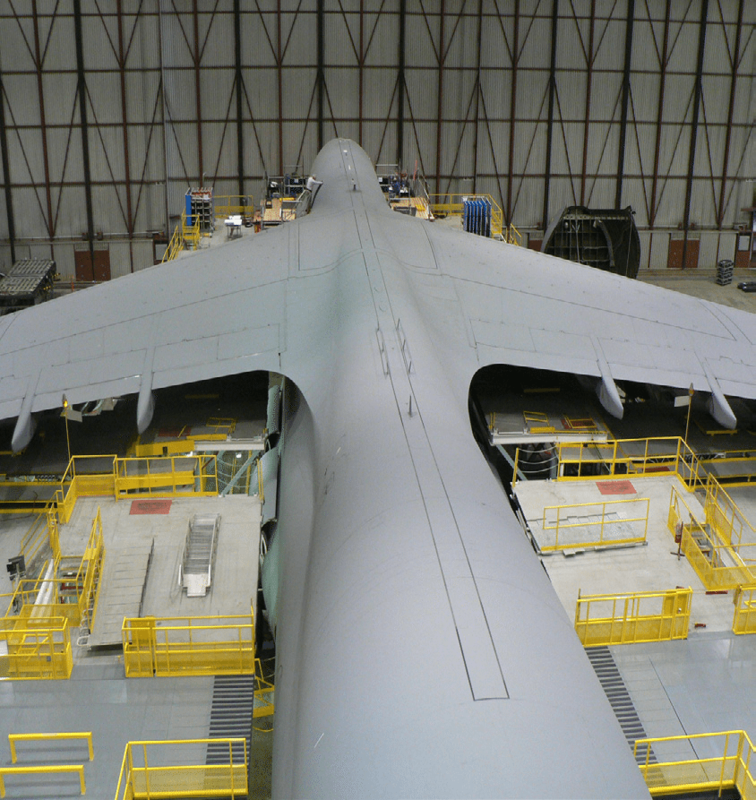 Challenge: To create a safe and efficient work platform around the C-5 cargo plane that would remove the need for numerous lifts during a major overhaul. 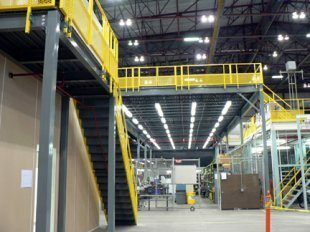 Solution: A 20’ tall mezzanine system. This custom 16,311 sq. ft. structure had to be built to 1/8’’ or less variation in the level of the deck, which necessitated custom column lengths to accommodate an uneven floor. The deck is equipped with unique fixed stanchions. Panel Built Delivers: Lockheed Martin came to Panel Built to design the project, and Jerry Alverson and Modular Structures won the bid. Jerry chose Panel Built to manufacture the mezzanine based on familiarity, proximity, service and reputation. Panel Built shipped the completed system on schedule. Project Specs: Total square footage 16,311’ with specially braced eight foot cantilever and catwalk. 1/8’’ powder-coated diamond plate steel flooring. Fifty-nine 20’ tall columns. Seventy stanchions. Two sliding deck sections. Custom handrail with tab-connected expanded metal mesh to prevent falling parts.